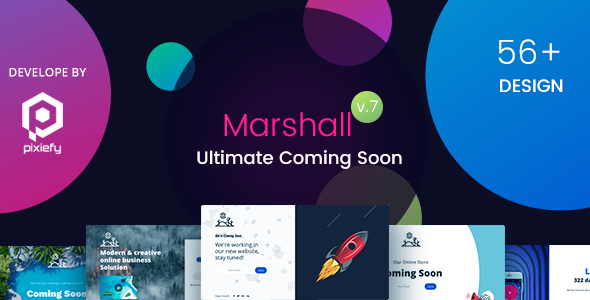 Marshall the Ultimate Coming Soon template with MultiConcept ideas contains 52+ Full different designs and ideas. Business, Agency, Hotel, Restaurant, Personal, Corporate, Gym, Contract, Maintenance, Tours & Travels, Product Launch, Service Launch etc different design variations to match your service. Full functional Mailchimp Subscription Form & Ajax Working Contact Form included. Very helpful documentation file attached with download file for helping you setting up Marshall. 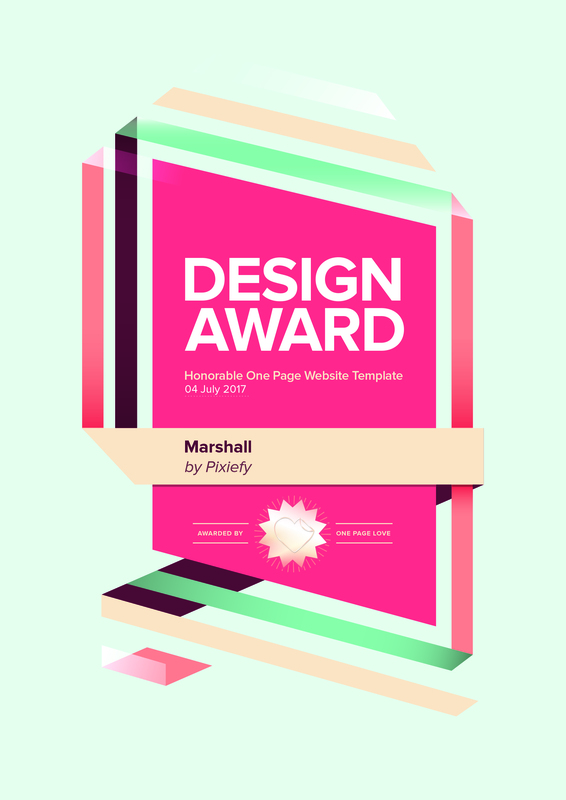 Any resources or images used in Marshall are under creative commons license, so you can use it in any purpose. I’ve used all the images, icons and other files from open license source. - Added 2 new versions. - Fixed responsive on mobile. - Added 8 new versions. - 2 new variants added. - 4 new variants added. - 2 new variants added,  Dripples effect, Geometry Birds. enjoy! !